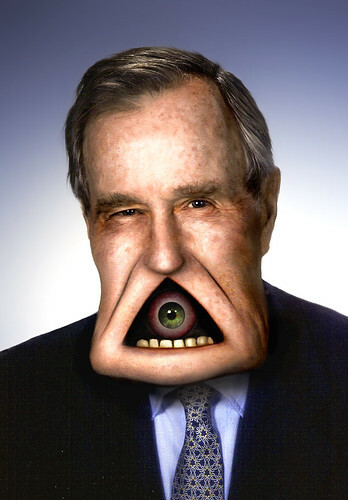 HW Bush, "Read my lips, New World Order!" If "we the people" keep electing the same old recycled clannish garbage, then the US Constitution actually becomes just another piece of paper. This creeping tendency to see elected office as a family heirloom is not just present in the executive. Congress is littered with the spouses and sons and daughters of former congressmen who wanted to keep the position in the family. The father of Representative John Dingell of Michigan served in Congress for 22 years and then handed the job to his son in 1955. The debate recently has been whether the incumbent will hand it to his wife or one of his sons. "What's really interesting for me in looking at the international reaction to the U.S. presidential race and the American one, is outside the United States, people are a lot more concerned about this idea that America is being governed by two dynasties. And yet, that notion doesn't seem to have captured the public attention or really to be being used by Clinton's opponents."